The Marengo-Union Chamber of Commerce publishes a Community Guide annually as a service to the community at large. The guide is a handy reference of need-to-know information that promotes your business or organization to EVERY Marengo and Union area household 365 days of the year. The Community Guide will be mailed to all households in the 60152 and 60180 zip codes; it is also available at the Chamber office and is distributed to new residents throughout the year from some local businesses. For information on ordering a personal copy of the current guide or copies for your business to distribute, please call the Chamber office at (815) 568-6680, or visit our office at 116 S. State Street in downtown Marengo. The Community Guide is published and distributed in late spring of each year. 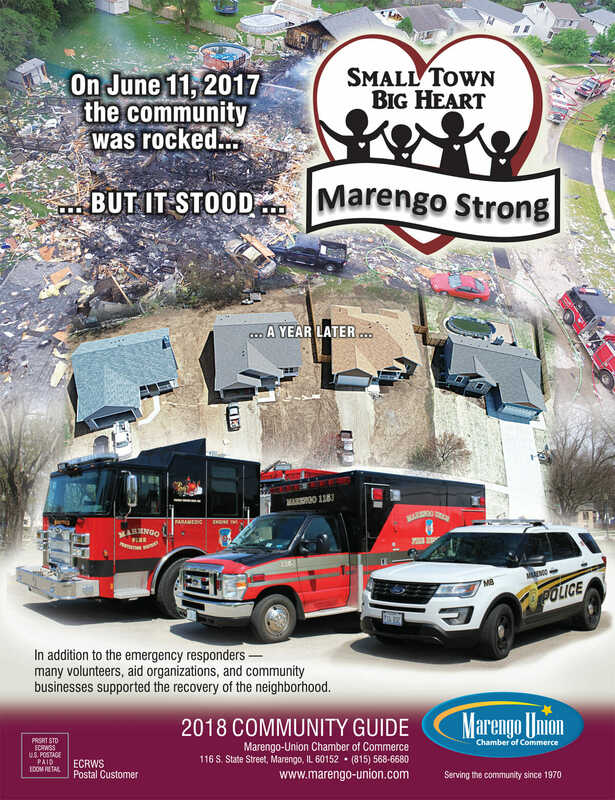 It’s never too late or too early to plan your participation in this popular publication sent to all residents of the Marengo and Union zip codes. It’s a community reference that people keep all year long. 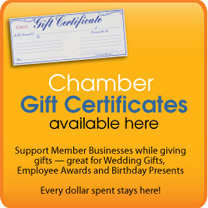 As a Chamber Member you are automatically listed in our ‘Members Only’ section. The Community Guide committee works very hard to keep production costs controlled so our advertising rates can be very economical for those that desire to promote their business to the local populace. Beginning with the 2013 publication, the guide is also placed in its entirety here on the website. This doubles the value of your advertising dollars and gives you an entire year of exposure in print and on the web. QR codes placed in the guide provide a direct link to advertiser’s individual websites. The Annual Community Guide is another outstanding service provided by your Chamber of Commerce. It’s an economical way to promote your business and remind people to SHOP LOCAL! Call the Chamber for more information or to reserve your ad space today! (815) 568-6680. ©2013 Marengo Union Chamber of Commerce All Rights Reserved.